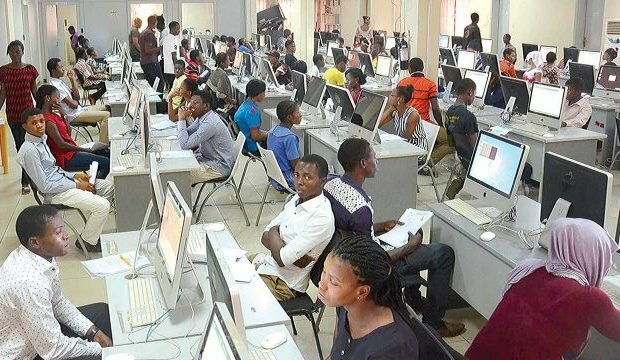 The Joint Admissions and Matriculation Board (JAMB) has urged its 2018 Unified Tertiary Matriculation Examination (UTME) candidates to patiently await the results of the just concluded examinations. The head of media of the board, Fabian Benjamin, stated this in an interview with the News Agency of Nigeria on Saturday, March 17, in Abuja. Benjamin said that modalities were being put in place to ensure all the results are transparent and accurate. According to him, some of the results would be ready by Monday, March 19. He also assured that all technical difficulties encountered to access the website were being addressed. Some of candidates who sat for the examinations earlier, were yet to receive their results. While some said that they received the reply of “your results are not ready yet”, others complained that the site says “you did not register for this examination.’’ The examination, which was scheduled to end on Saturday, March 17, ended on Friday, March 16.